The piece “SA’s DTI finances Malawi rare earth pre-feasibility study” featured below was initially published in Malawi’s Mining Review Special Edition 2014 that was circulated in June 2014. Canada-listed miner, Mkango Resources, has reported that the South African Department of Trade and Industry (DTI) has approved a grant of R7,967,804 (Cdn$835,000) to the company under its Capital Projects Feasibility Programme, which will finance a pre-feasibility study for Mkango’s flagship Songwe Hill rare earth exploration project in southern Malawi. Mkango President Alexander Lemon reports that the grant will be dispersed to the company between June 2014 and March 2015 as the company meets certain milestones in relation to a number of activities including environmental and social impact studies, mine planning, design of the processing plant and tailings storage facility, flotation and hydrometallurgical optimisation and marketing studies. Mkango contracted a number of companies to complete the pre-feasibility study including South Africa’s SNC-Lavalin, which is working on beneficiation and hydrometallurgical plant, and associated infrastructure. It also appointed Digby Wells Environmental of South Africa currently executing environmental and social impact studies, Epoch Resources (Pty) Ltd of South Africa working on tailings storage facility, Met-Chem Consulting (Pty) Ltd of Australia conducting metallurgical optimization, Mintek South Africa also undertaking metallurgical optimization, the MSA Group (Pty) Ltd of South Africa executing mining studies and associated infrastructure, and Nagrom Laboratories of Australia conducting metallurgical optimization. Mkango’s CEO William Dawes comments that Digby Wells Environmental has now completed a comprehensive environmental and social pre-feasibility report and is now commencing work for the feasibility study. On its part, SNC-Lavalin (Pty) Ltd. has completed the first phase of the pre-feasibility study for the plant, focusing on the mill, flotation plant and associated infrastructure, and is now focusing on the hydrometallurgical process plant. He says as evidenced in a recent site visit in conjunction with a mining contractor, The MSA Group has commenced work on mine planning and associated infrastructure. The Songwe Hill rare earth deposit contains several million tones of rare earth ore that can sustain an over 20 years mining life. 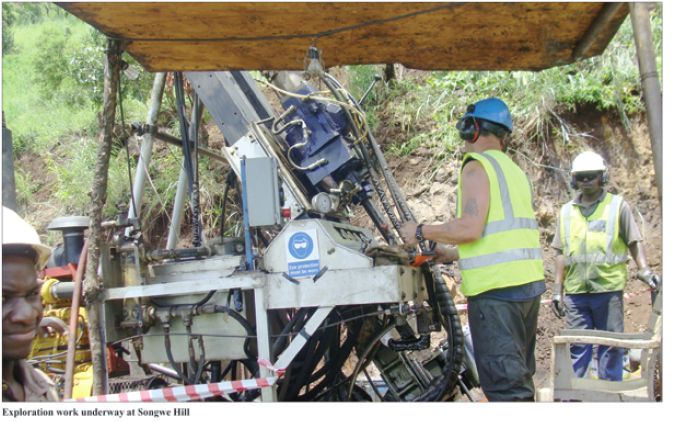 Mkango Resources conducted exploratory drilling of the deposit, which hosts carbonatite hosted rare earth mineralisation and was subject to previous exploration in the late 1980s. In parallel, Mkango is also undertaking regional exploration in its second license area in Malawi also located in the southern region known as Thambani, where a number of areas with potential for uranium, zircon, corundum and niobium have been identified. “The corporation’s corporate strategy is to further develop the Songwe Hill rare earth deposit and secure additional rare earth elements and other mineral opportunities in Malawi and elsewhere in Africa,” says Dawes. am studying metallurgy and mineral proc engineering in Malawi but i dont know where i’m going to get the job and if it wil be more rewarding.I Would Like To Know More About This Career.